Hawaiian Airlines is using a new type of aircraft to fly from California to the islands starting Monday. Here's why passengers should care. 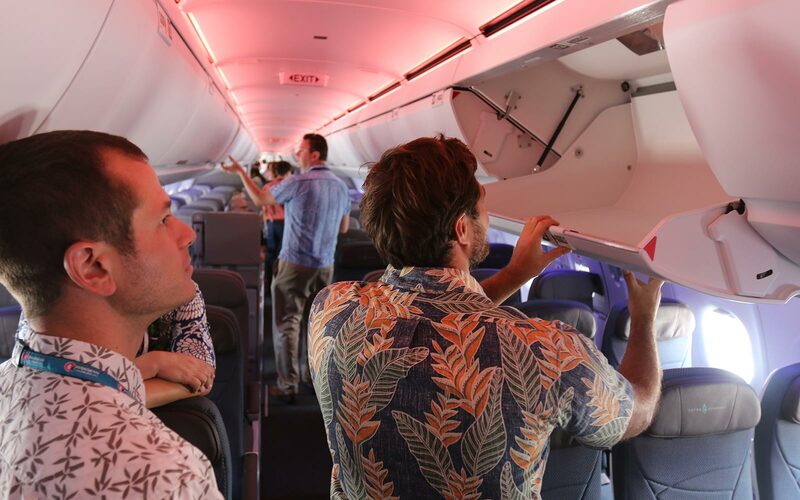 Monday's regularly scheduled Hawaiian Airlines Flight 24, from Kahului on Maui, to Oakland, California, marks the airline's first service to the mainland using its new plane, the Airbus A321neo. While a new aircraft may not sound exciting to a lot of people, this addition to Hawaiian's fleet will have a big impact on passengers. Hawaiian isn't the first to use the A320 family of aircraft to Hawaii (that honor went to Virgin America), but the expanded use of the planes, which are smaller than the aircraft traditionally used across the Pacific, will mean more direct flights to more islands. And, as several airlines increase service to Hawaii, it also means cheaper prices. Monday's flight is just the beginning of Hawaiian's launch of the A321neo to replace some of its older Boeing fleet and add new routes. It's taking over the Oakland route from the A330, and passengers will immediately notice the difference: The A330-200 is a long-range, wide-body, double-aisle aircraft. Hawaiian, which has 24 A330s, configures the plane with 18 first class, 40 “extra comfort,” and 236 economy seats, for a total of 294. The A321neo is a short- to mid-range, narrow-body, single-aisle aircraft with 16 first class, 45 extra comfort, and 128 economy seats, for a total of just 189. 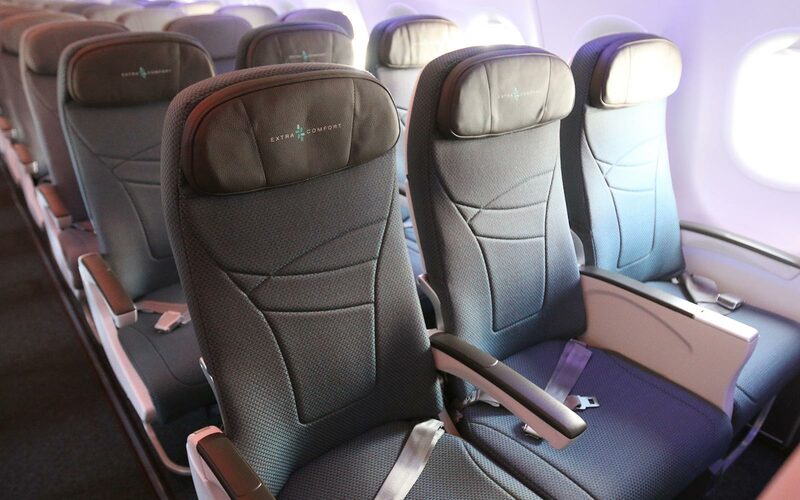 The seat pitch (the distance from the back of one seat to the back of the next) is basically the same for both planes: 31-32 inches in economy, 36 in extra comfort, and 45-46 in first class. The seat widths on the new planes, however, are slightly smaller, at 17.3 inches, compared to the A330's 18. 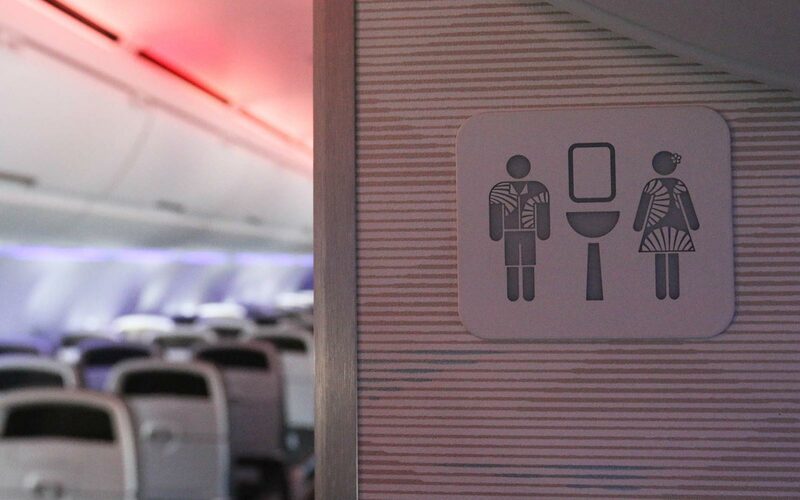 The overall effect could mean a more cramped experience in economy — but there's another way the A321neo increases passengers' sense of space. But all of that is just what's most obvious to passengers. For the airline, the A321neo will make it possible to have more nonstop flights that are cheaper to operate — even with 100 fewer seats. 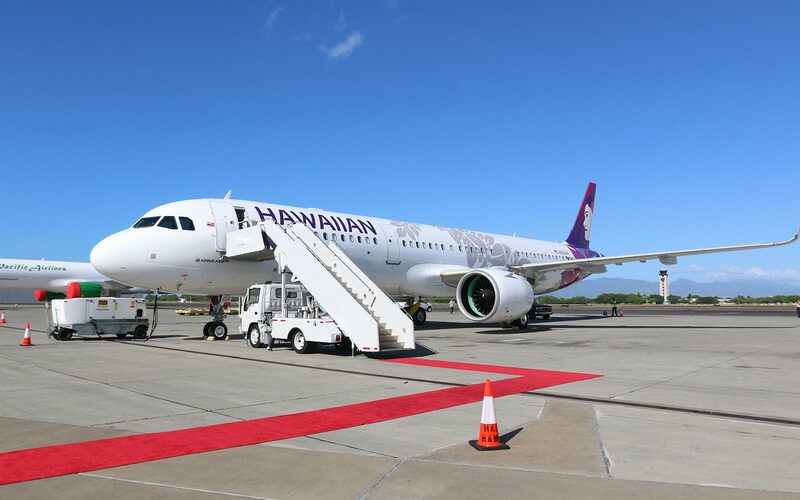 “The introduction of A321neo service to the Western U.S. heralds the dawn of a new era for Hawaiian Airlines and its guests,” Peter Ingram, executive vice president and chief commercial officer at Hawaiian, said in a statement. The reason this is happening now is a feat of engineering. Beginning with the A320 that Virgin America used in 2015, the winglets (or sharklets) on the end of the wings made it possible to comfortably fly between Hawaii and the U.S. mainland. While passengers may have never given much thought to the shape of the end of a wing tip, an upward-curved “winglet” adds to the aircraft's range. Along with certification for over-water flight safety, that added range means more flights and fewer stops the next time you're (hopefully) heading to Kona. Changing out an airline's fleet is a slow process — after all, the first Virgin America A320 flight to Hawaii was three years ago. But Monday's flight marks the beginning of a significant rollout. Flights between Portland, Oregon, and Kahului on the A321neo begin January 18. Soon, you can expect to see the A321neo on more Hawaiian Airlines flights from San Diego to Maui; Los Angeles and San Francisco to Honolulu; and Oakland to Kona.